This exciting volume presents plated entr�es for all of the normal and everyday types of meats and poultry, with classic as well as European continental favorites. Additionally, there are numerous game dishes, which will be especially popular since the existing literature in this area is fairly limited for the professional chef. 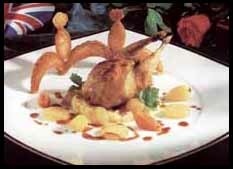 The presentations are breathtaking, each one displayed with garnish. 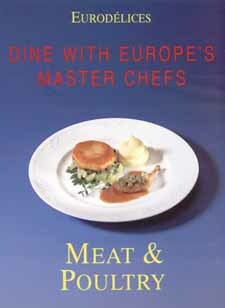 In about 150 recipes for meat, game, and poultry you will be taken on a journey through Europe's gastronomic traditions. This unique collection presents choice culinary delights from 94 master chefs of renowned gourmet restaurants in 14 countries. Click here to see books of related interest.